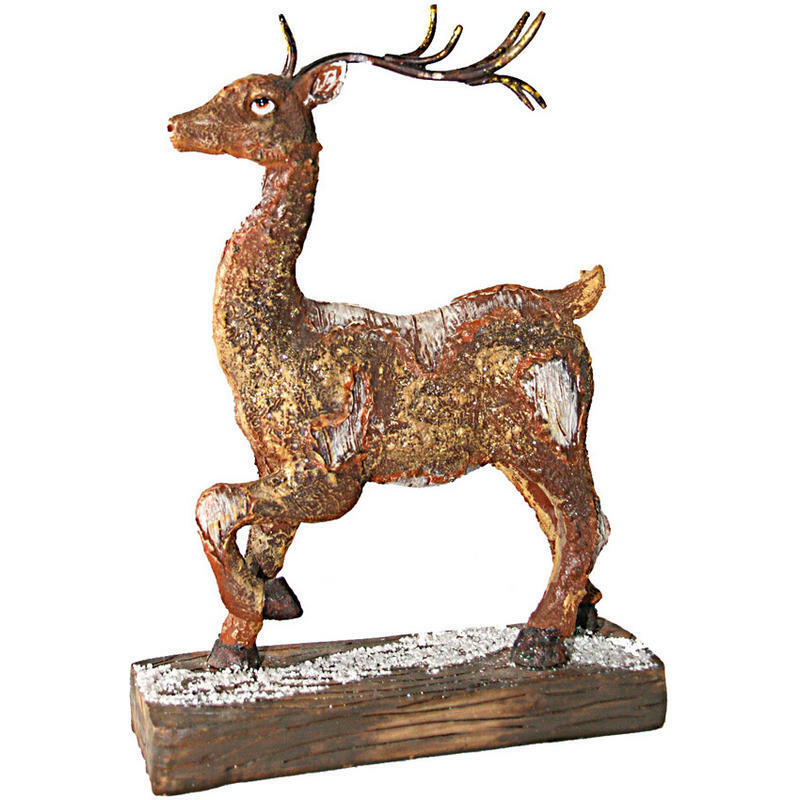 This Small Reindeer is mighty at only 20cm in height, and will bring a majestic air to your displays, villages, and decor this holiday season. The reindeer is a symbol of the season, and where would Santa Claus be without his loyal team? 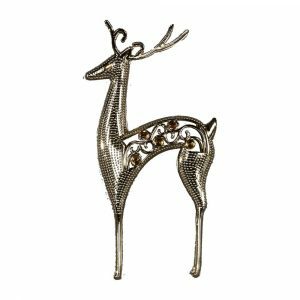 This clever little deer presents a classic sign of the holidays that is suitable for displaying anywhere in the home that you want to bring a bit of spirit and life. Enjoy the pronounced way that he stands in mid-movement- so realistic and detailed! This fellow is accented with gold and silver highlights and appears to be standing on freshly-fallen snow. It might be the look in this reindeer’s eye, however, that is the most captivating. 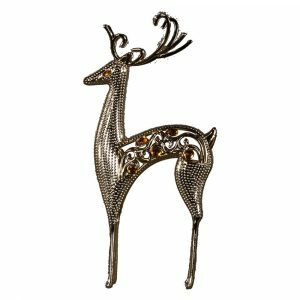 He has a serene and solemn expression that will make you fall in love with this delightful deer, and compel you to use him for many years to come!